Bridgestone is a supplier to high volume Original Equipment Manufacturers (OEM's). 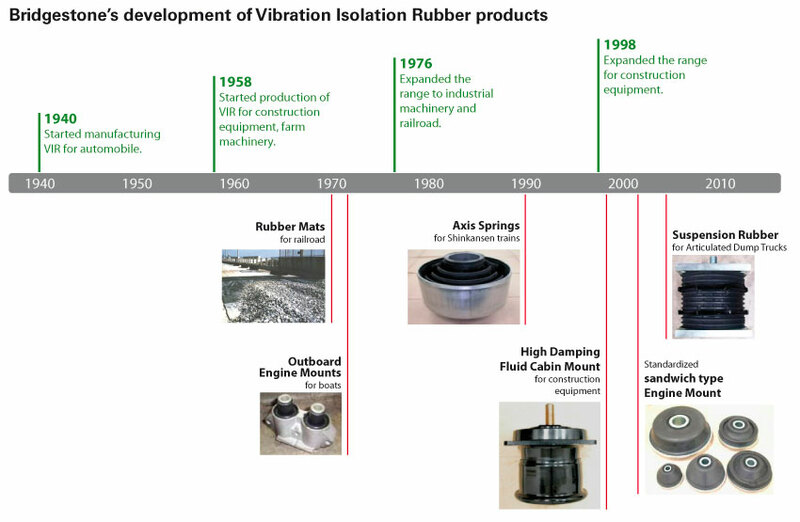 Our products offer rubber vibration isolation solutions for engines, cabins or suspensions. If you are an OEM looking for rubber vibration isolation solutions for engines, cabins or suspensions, then please contact your local Bridgestone Industrial Sales office. Heat resistant and low static-dynamic ratio rubber mounts for engines. Unique viscous fluid type mounts give high damping characteristics.